We can all play our part in reducing the amount of water we use in our homes, leaving more for nature. Here are a few helpful tips and give-aways to help you reduce your water consumption. If you wander by your local stream, river or wetland area (where the ground is wet or flooded all year), you may notice that the banks are lined with bushes and trees. These play an important role in managing the environment by controlling floods, cleaning water, helping surface water to drain into the ground, and providing homes to a variety of animal and plant life. This is how all rivers used to be. 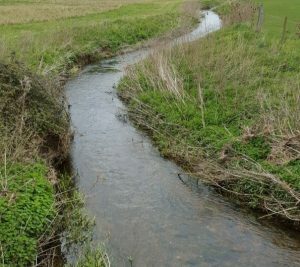 Nowadays, more often than not (particularly in East Anglia), what you will see is rivers that have been modified (over-widened, over-deepened and straightened). 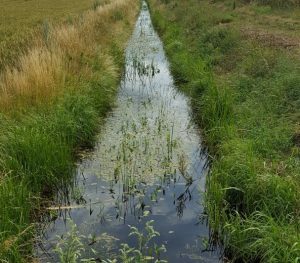 This was done for a good reason – water needed to be moved quickly off the land to prevent flooding and land needed to be drained for agricultural and urban development. Unfortunately, this approach only moves the problem of flooding downstream, whilst the impacts on the wildlife in the rivers has been severe. This modification has caused further problems to the flow, as the natural flow rate isn’t enough to fill the river outside of high rainfall periods. This is only exacerbated by the pressure from water abstraction, which is essential if we want to grow food and have water to drink. Abstraction management and flow problems are some of the most challenging areas for the partnership. We are however, working closely with businesses and Water Resources East to understand how long term business planning can influence abstraction pressure. Click for more information on the Environment Agency’s abstraction license strategy.